The Kodi Sky skin combines good visual appearance with simplicity. 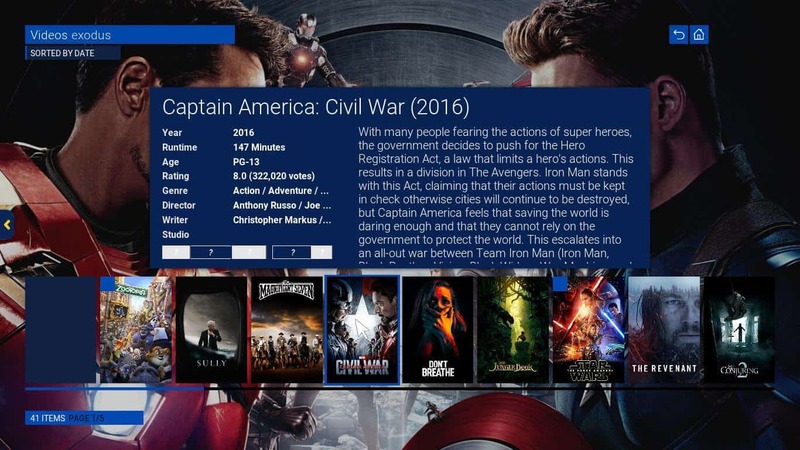 The Kodi Sky skin has a flat look, almost like material design. The combination of colors is static, stuck in yellow/blue tones. This does not make the skin ugly in any way. On the contrary, the colors match the default background image, which you can also change. Regarding the menu, it can be edited to include your favorite addons as shortcuts. This is a good aspect that gives the Kodi Sky interface more usability. This skin keeps things simple and straightforward. Although it seems to offer an option to switch color themes, the option does not change anything when it is modified. Visualizations are fewer than those present on some Kodi skin plugins we have reviewed in the past. 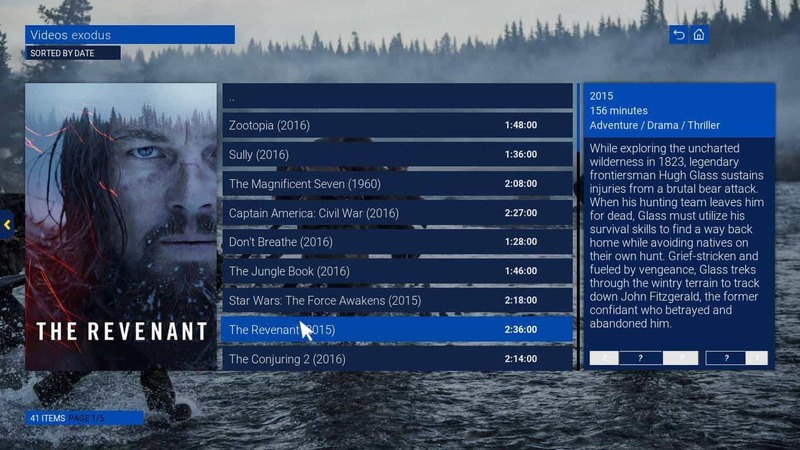 However, the visualizations present in the Kodi Sky skin are more than enough to offer a pleasant media browsing experience. 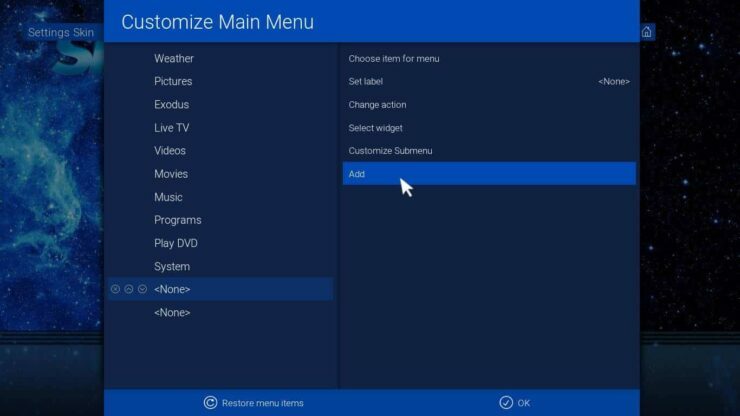 You can add or remove menu items and shortcuts to your favorite addons. 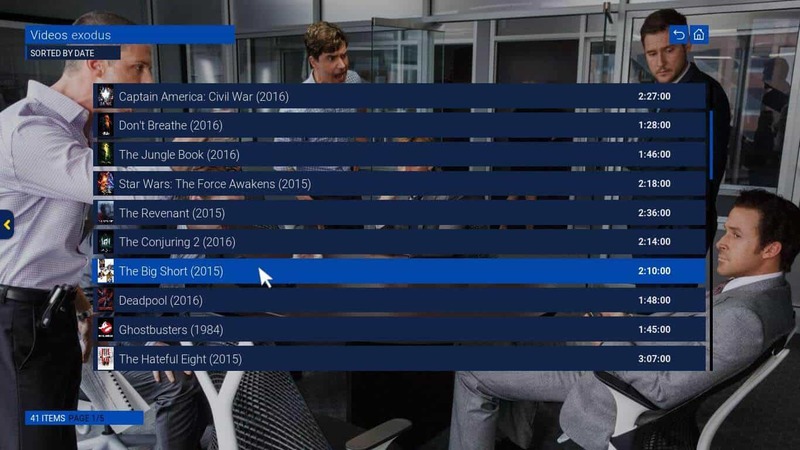 The ways to visualize media items on the Kodi Sky skin are focused on grid and card elements, with little presence of rounded shapes. 3D effects are totally absent from this skin, so you might want to explore other options if that's what you seek. If you want a Kodi interface that looks good and has smooth animations and transitions, then in this Sky skin review you will find that the Kodi Sky interface is worth at least a try. See the images below to get an idea about how this skin looks. The fanart visualization features a low ribbon and media info on top, as well as fanart artwork as background. The media info visualization shows information about the media you are about to play and a simple list. Media info 2 visualization shows the same information as media info, but shows a media cover as well. The media info 3 shows a list and a cover image for your media, as well as a fanart background. The big list visualization is just a list with your available media and small cover images. With the thumbnails visualization you can browse more media at a glance. 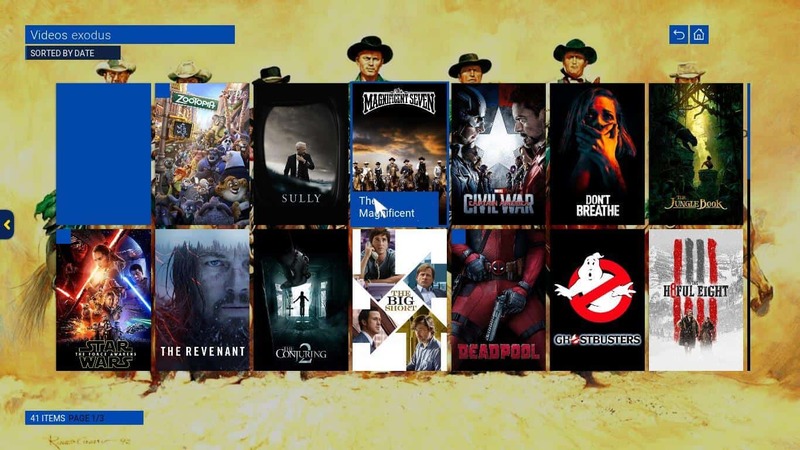 The poster wrap visualization shows an enlarged movie cover ribbon and fanart artwork. 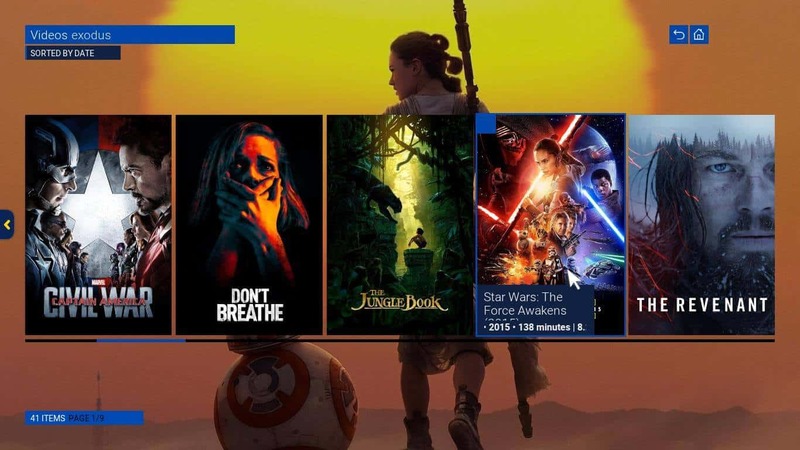 Kodi Sky Skin: Do you recommend it? A fully-functional OSD menu makes it easy to recommend this skin. 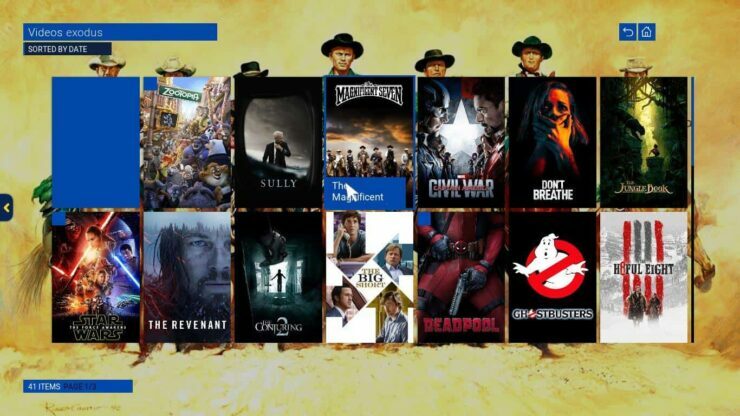 The Kodi Sky skin is a good option if you don't want to mess with skin settings or configurations. With few visualizations, it manages to look good and be customizable enough to offer a decent experience. 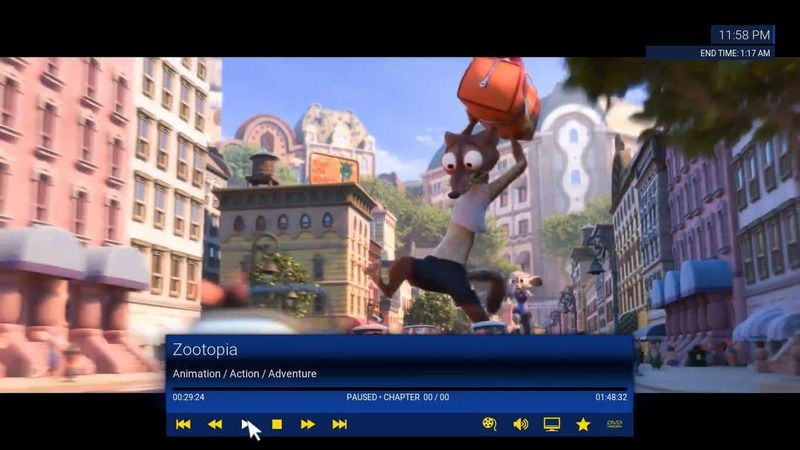 An usable seeking bar during playback, with a fully-featured OSD menu, makes your media viewing experience more customizable as well. 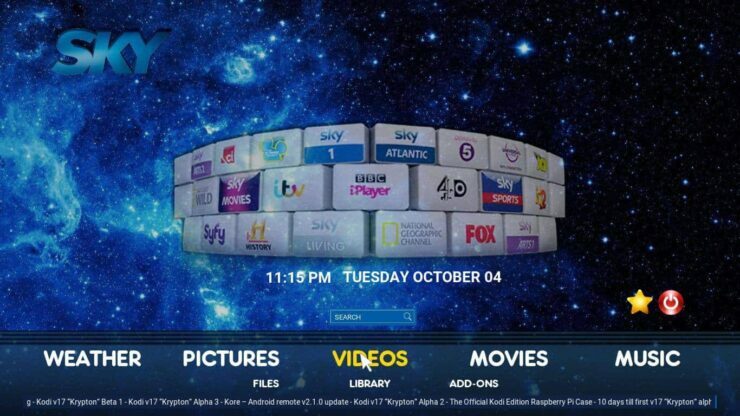 All in all, the Kodi Sky skin offers a good user experience and is worth trying on your Kodi device. Want more options to customize your Kodi media center? 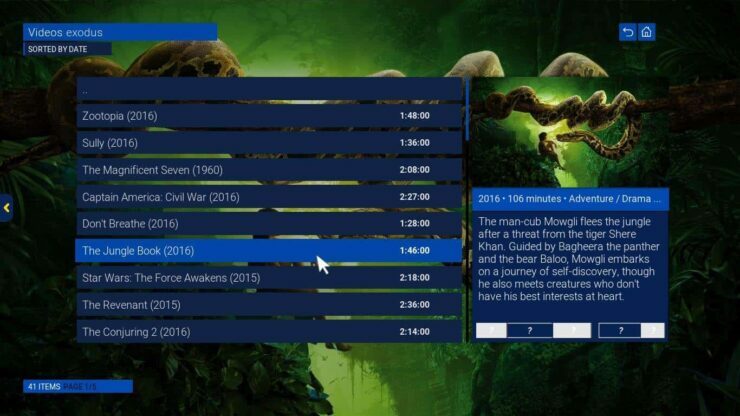 How about trying the Kodi Paradise Skin or installing one of the 6 Best Kodi skins we have listed previously? 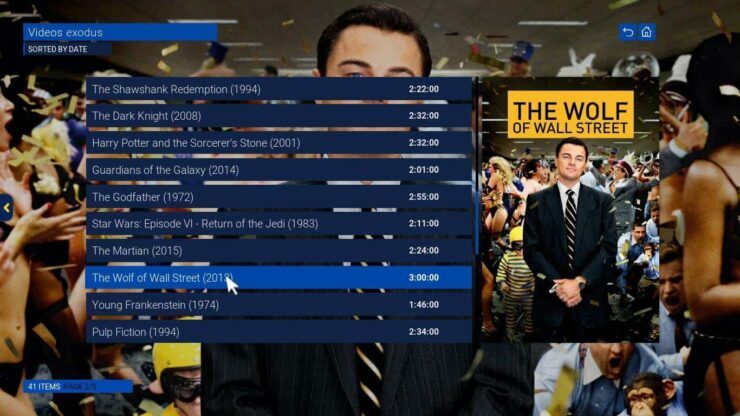 Either way, feel free to customize your Kodi experience with the help of our lists and guides!